You can view all our cats in one place! You can view all of the available cats in your local area at our new find a cat screen! This screen is located at Longacres Bybrook Barn Garden Centre in Ashford. 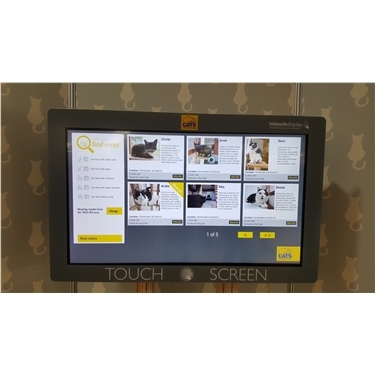 This screen allows you to view cats from many branches including Canterbury& District, Tenterden & District, Dover & Deal, Folkston & Hythe branch.